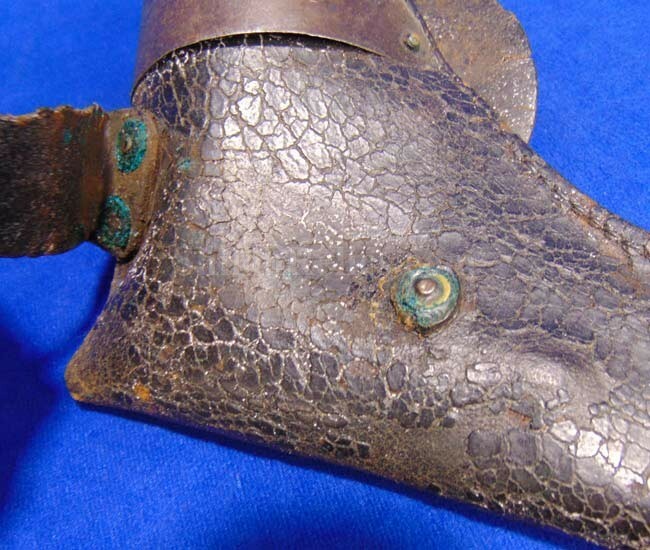 This is your opportunity to own one of the rarest of all Civil War holsters. 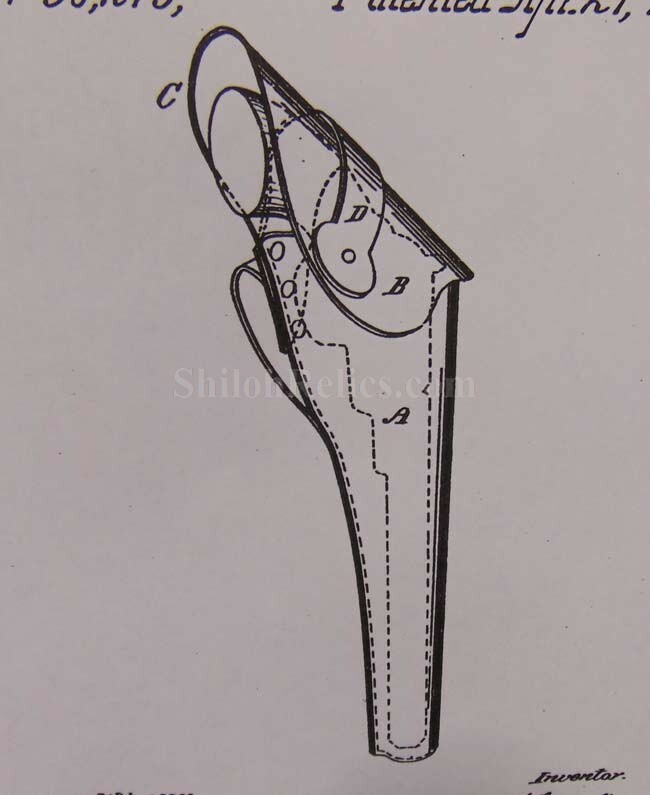 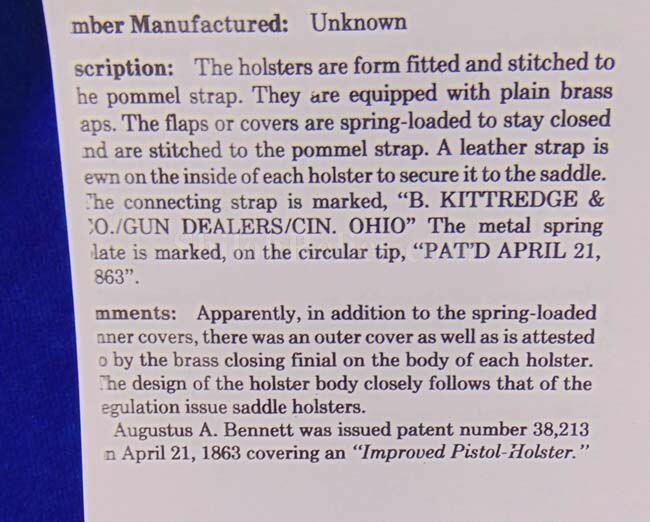 This is the style of holster that was patented on April 21, 1863 by Augustus Bennett under patent 38,213. 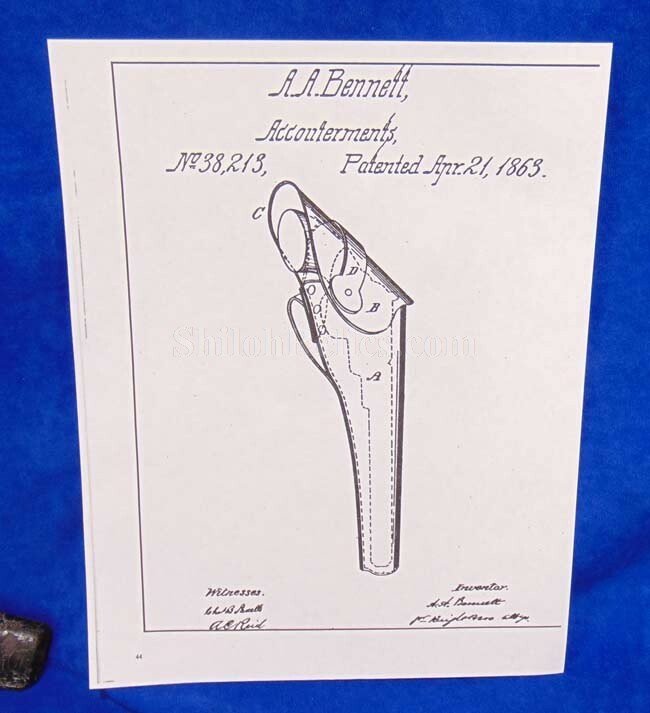 This pattern is described and illustrated on page 43 and 44 of the wonderful book by Edward Scott Meadows entitled US Military Holsters and Pistol Cartridge Boxes. 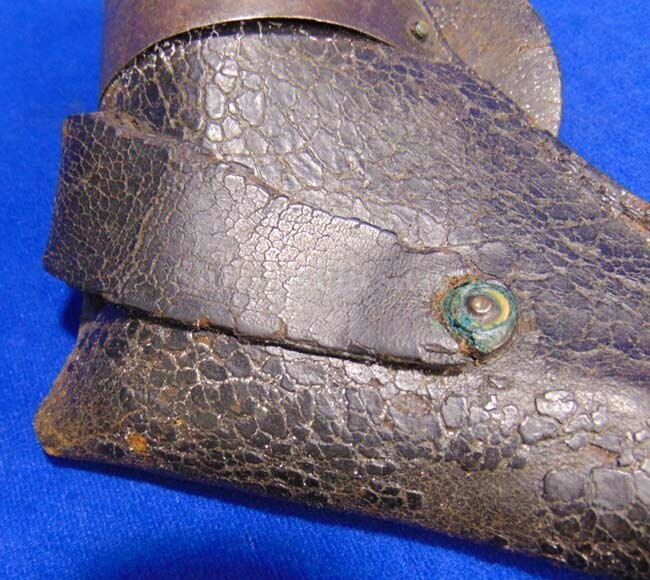 These have a very distinctive design because of the steel plate spring that is mounted to the leather of the holster. 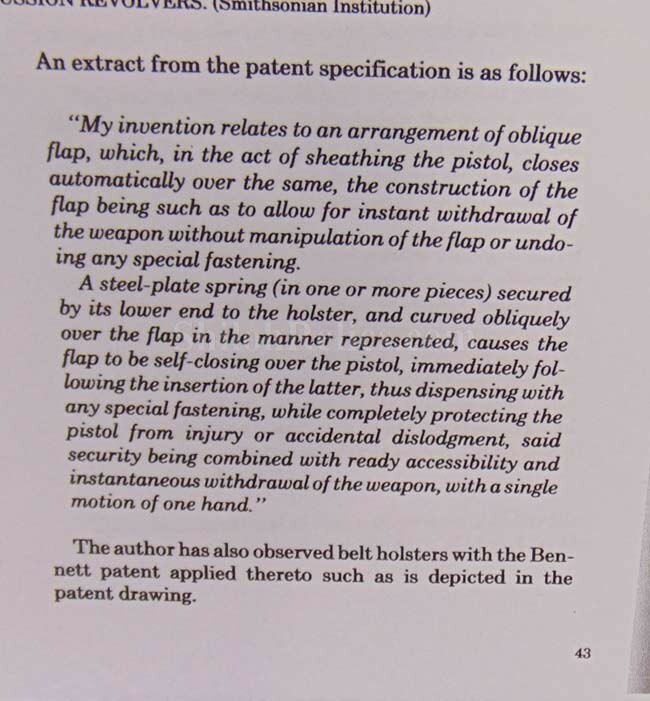 It was designed to hold the flap open when you are trying to remove the pistol but also to spring close the flap quickly. 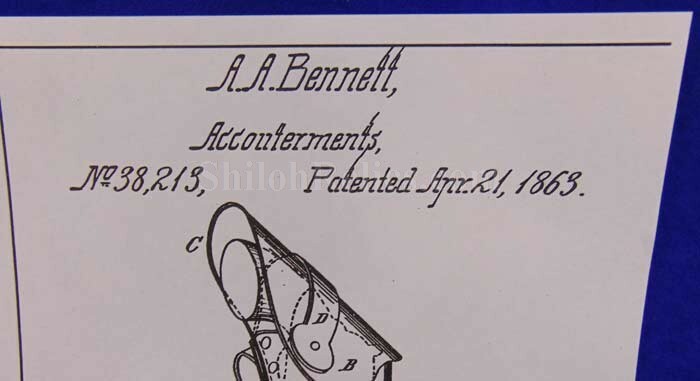 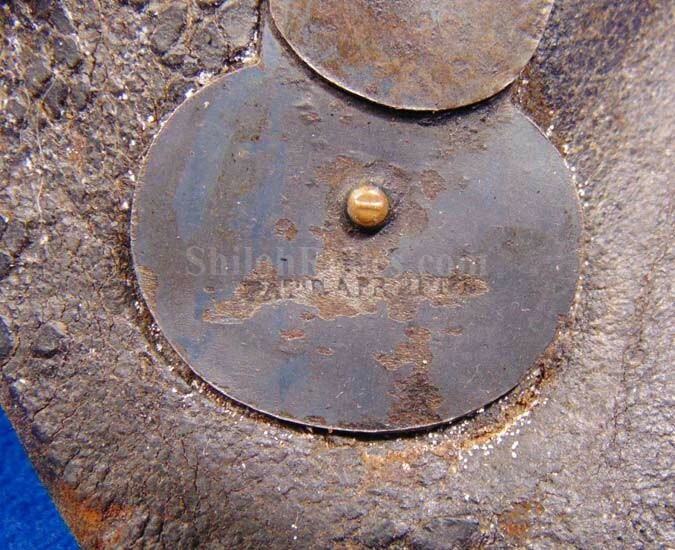 This one has the original steel plate spring on the outside and you can still read part of the 1863 patent date in the metal. 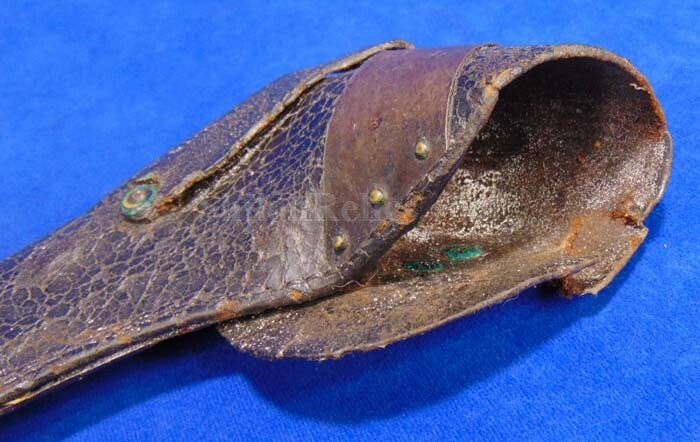 The leather has somewhere as you would expect but it all is still present. 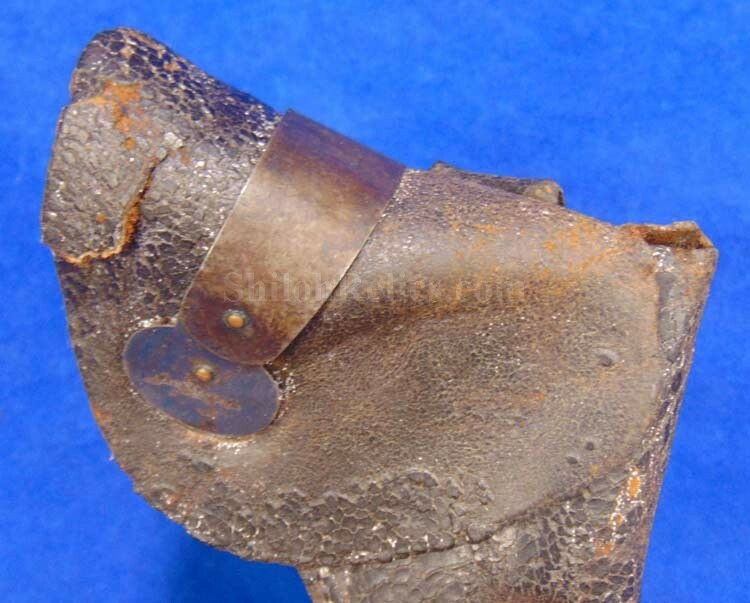 It is missing the plug out of the bottom of the body. 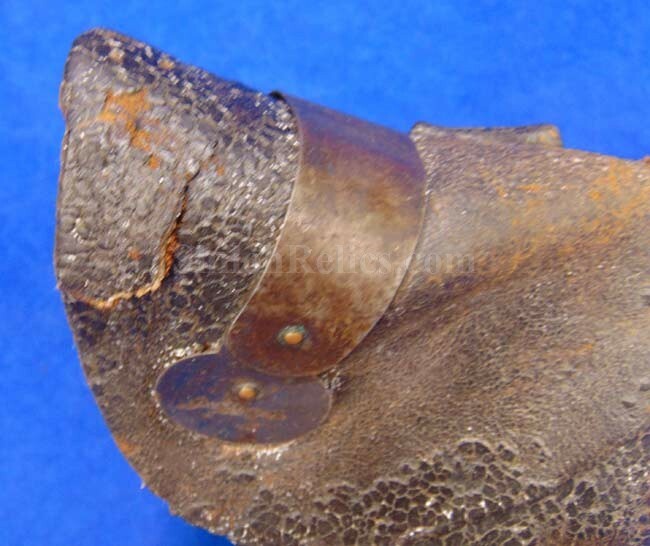 On the back of the belt it has the original belt loop intact that is separated where it meets the rivet. 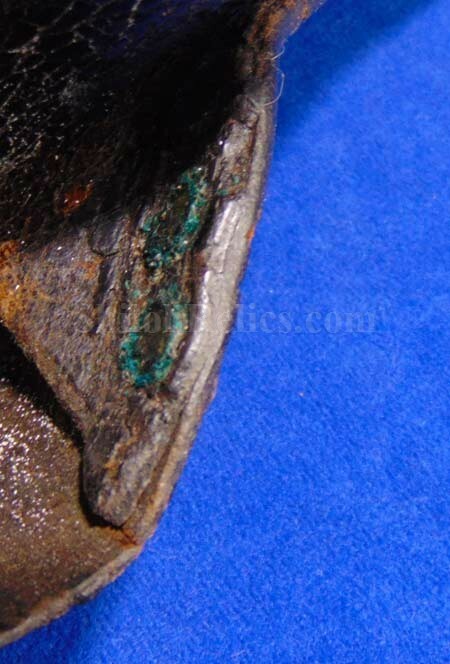 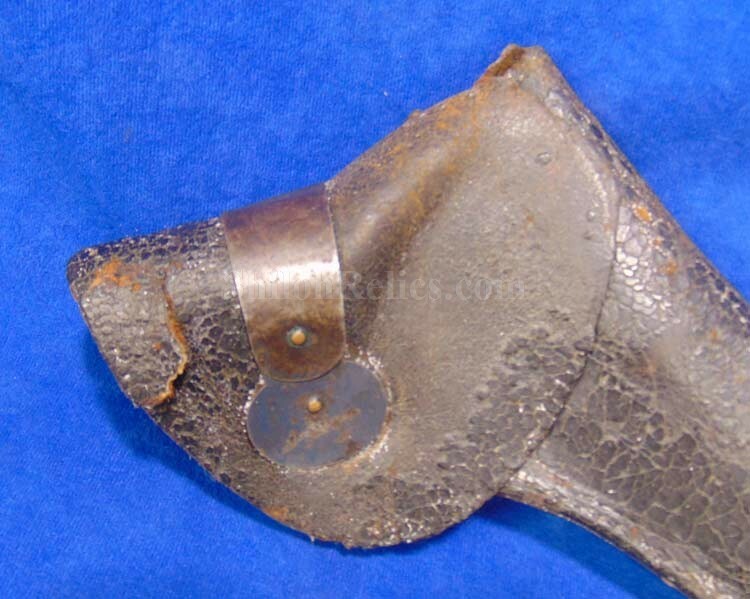 This is the the size that was designed to go with the Colt model 1849 revolver that fired a .31 caliber bullet. 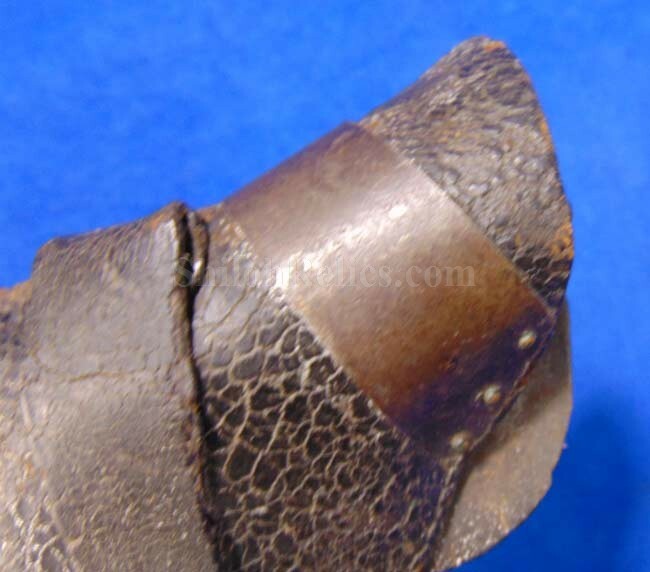 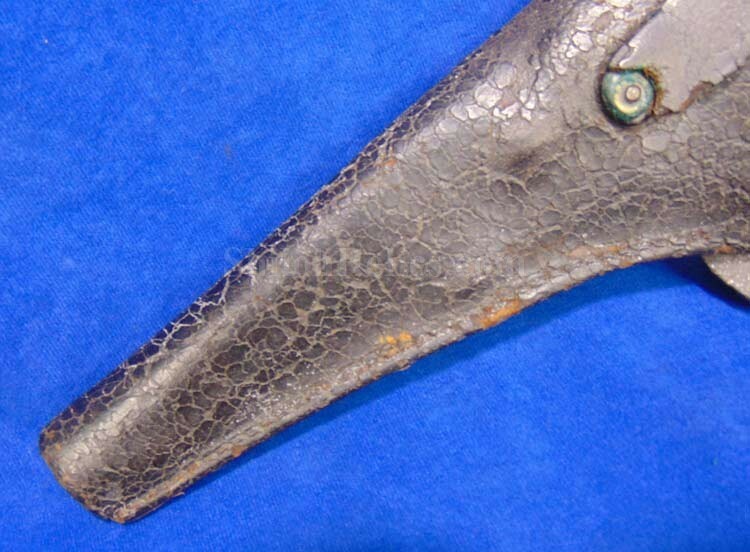 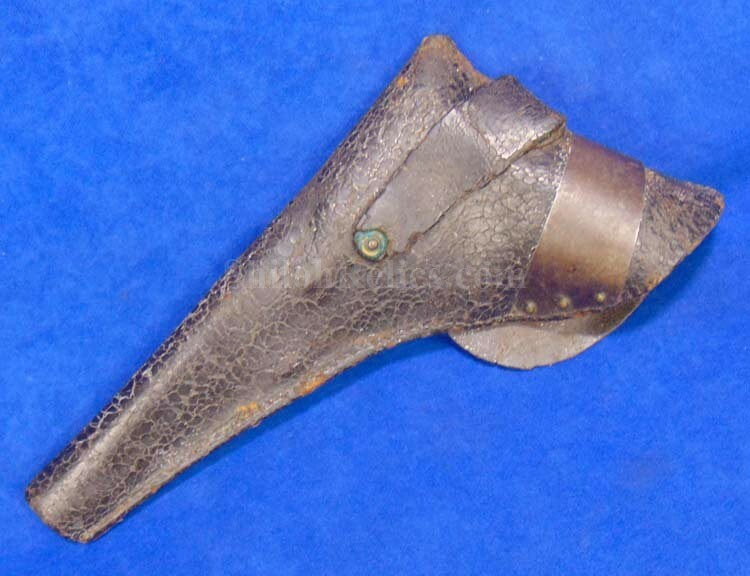 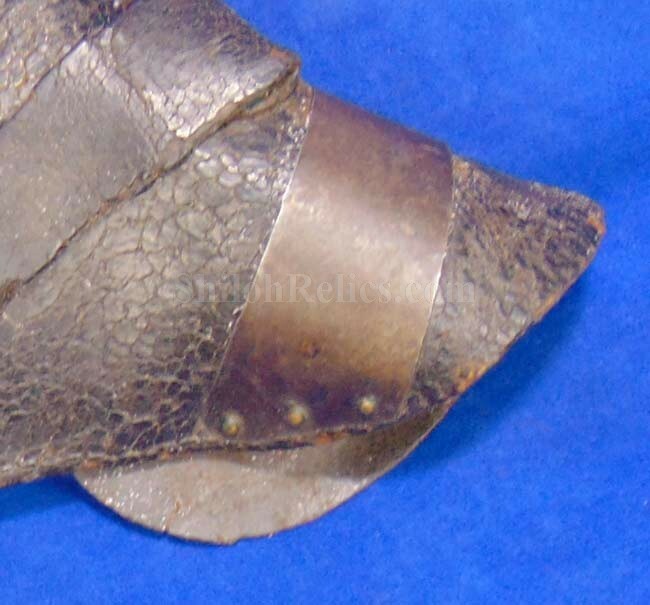 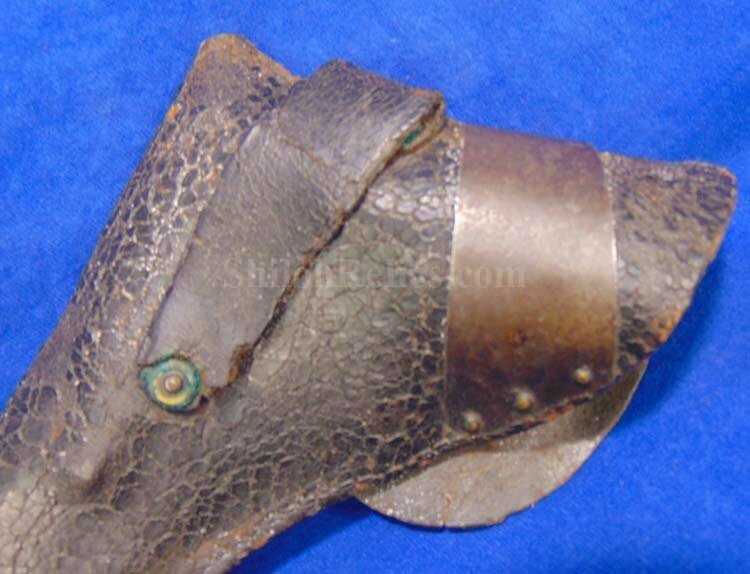 This is a scarce original Civil War Colt holster. 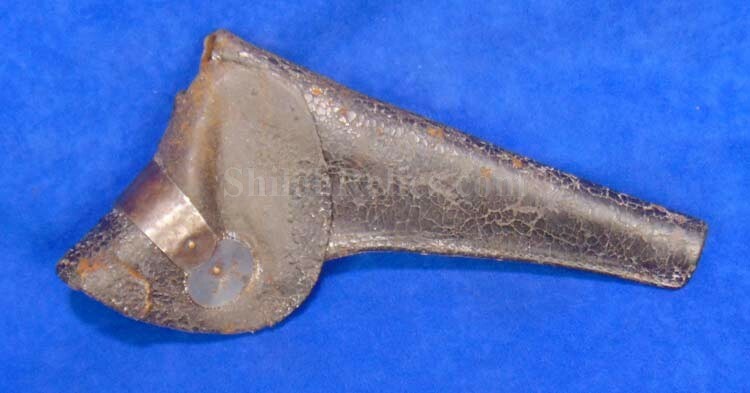 Where can you get another?